Earlier today a casting director named Michael Streeter wrote in a Facebook post that the Edward F. Albee Foundation allegedly tried to force him to fire a black actor and replace him with a white actor. Streeter’s work as a casting director on the production of Albee’s play Who’s Afraid of Virginia Woolf? appears to have been set for a September run at the Shoebox Theater in Portland, Oregon, according to audition listings posted to Facebook and Backstage. Streeter also lists that he his looking specifically for an “African American, Ethnically Ambiguous / Mixed Race” man for the role of Nick. Regarding the matter of your request to cast an actor who is African-American as Nick in VIRGINIA WOOLF?, it is important to note that Mr. Albee wrote Nick as a Caucasian character, whose blonde hair and blue eyes are remarked on frequently in the play, even alluding to Nick’s likeness as that of an Aryan of Nazi racial ideology. Furthermore, Mr. Albee himself said on numerous occasions when approached with requests for non-traditional casting in productions of VIRGINIA WOOLF? that a mixed-race marriage between a Caucasian and an African-American would not have gone unacknowledged in conversations in that time and place and under the circumstances in which the play is expressly set by textual references in the 1960's. This provides clear evidence that productions of WHO’S AFRAID OF VIRGINIA WOOLF? 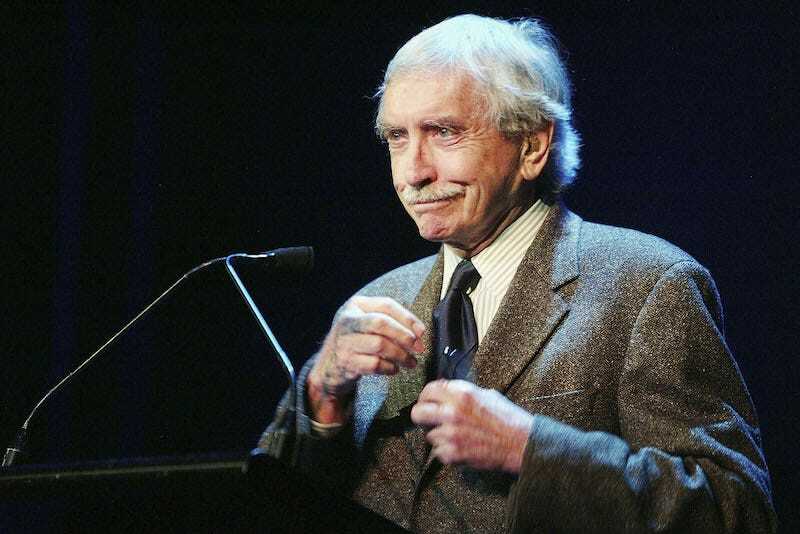 must, indeed, continue to be cast per Mr. Albee’s intention, and according to the legal rights held by his estate, which works with great care to ensure that the author’s intent is upheld as closely as possible and with great consideration given to his stage directions and dialogue. Colorblind casting in theater is not new but has become more common in recent years, especially after the rise of Hamilton and Hermione being played by black actress Noma Dumezweni in Harry Potter and the Cursed Child. But when it comes to a playwright’s original intentions, estates can sometimes be extremely protective regarding changes—with exceptions. Arthur Miller’s estate, for example, allows for all-black casts of All My Sons and Death of a Salesman. As for casting Nick, the character was originated on stage first by actor George Grizzard and has been played exclusively on Broadway by white actors like George Segal, David Harbour, Madison Dirks, and Bill Berger. In a touring production in 2007, Nick was played by David Furr who was actually a brunette, though in photos from the time it appears that he bleached his hair to blonde. Jezebel has reached out to Streeter for comment and will update this post if he responds. Streeter also wrote that Samuel French had “placed the rights on hold in November” for the production, which meant that no one else in Portland could apply for the same rights until the process was complete. The memo from the public relations firm (which I think says a lot, the fact that they had to hire a public relations firm for this) attempts to deflect and blame me. I noted the catch 22 situation regarding casting above. The memo is also mistaken in that there has been at least one past production with a black cast member and interracial couple as characters. This was in 2002 at the Oregon Shakespeare Festival which was during Albee’s lifetime and presumably with his approval. It is, also, mistaken in stating that the poster I created was promoting the show. The poster I made was part of the audition announcement and designed to draw attention to the auditions as well as provide production information, a requirement for audition boards. Yes, I would have adapted it and used it as a foundation for promotional posters had the project moved forward. But it didn’t. Update (May 19, 5:45 p.m. EDT): Sam Rudy, the publicist Streeter referred to, emailed Jezebel to clarify that his working relationship with Edward Albee began when he met the playwright in 1980. He was not hired to deal with the fallout of this production. Correction: A previous version of this post incorrectly identified the writer Henry Miller as the playwright of All My Sons and Death of a Salesman. The playwright is Arthur Miller. Jezebel regrets the error. Clarification: The memo sent to Streeter is from the Edward Albee Estate, not the Edward Albee Foundation. The two are separate organizations.